(i) Kolkata based Iris Clothings Limited was incorporated in 2004, Iris Clothings Limited is engaged in the Manufacturing, Designing, Branding, and Selling of Kids Wear under the brand name DoReMe© in India. 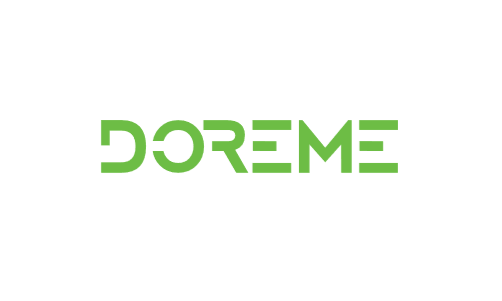 (ii) DoReMe© caters to the Kids Wear category mostly juniors including various kinds of apparels and related products for all Infants, Boys, and Girls. They have been able to establish their brand Do Re Me© as a mid-market, comfortable and high-quality junior Kids Wear brand. (iii) The Company makes different kinds of products like Tops, T-shirts, Pants, Shorts, Frock, Dresses, and Towels among others catering to Kids Wear category. The Company continuously strives to add new product lines and innovate with Designs to be able to appeal to the changing consumer demands. (iv) As on date Company has an active distribution network of 60+ distributors across cities/states with reach to more than 4,000+ retailers. The Company has always believed in offering high-quality products at an affordable value and the same has helped the brand to develop a strong pull from the end customers and trade partners. The company was among the pioneers to start with printed Maximum Retail Price (MRP) in 2005 when this practice was relatively unknown in the unorganized Kids Wear Market. Promoters of Iris Clothings IPO Company are: (i) Mr. Santosh Ladha, aged about 40 years, is the Managing Director of the Company. Mr. Santosh Ladha holds a Bachelors degree in Commerce and has an experience of 22 years in this textile industry. He is the founder promoter of the Company and has conceptualized and externalized the brand “Doreme”. Mr. Santosh Ladha has an in-depth understanding of the domestic readymade apparels markets. Being a dynamic and toe marking personality, he looks after all the operations of the company directly with the help of a strong team. (ii) Mrs. Geeta Ladha, aged about 39 years, is the Whole Time Director of the Company. She holds a Bachelors Degree in commerce and has an experience of 14 years, with an unmatched exuberance in providing creative and innovative ideas to update the products and has been with the company since its inception. All SMEs of dubious LMs listed at premium … due to almost NIL public participation. Completely agree with you tarun jii. The Revenue and PAT growth shown by the company in the last 5 years is excellent. However, the weak balance sheet overshadows all the good work done by a company in term of Sales growth. Once the position of the balance sheet improves this can look for investment purpose. In terms of EV/EBITDA based on FY18 numbers, the value is above 10 which is again high. The Average EPS of the last three years. In many forums/websites, you will find the P/E to below 10. They have actually calculated considering Q1FY19 numbers and then Annualized it. This formula works fine but to be on the safer side we should always calculate EPS by considering the last 3 years Average EPS because many times just before the IPO lot of manipulation done in financials. 2. Current Ratio=24/23=1.04 ( Not comfortable).Should be at least greater than 1.5. 3. Quick Ratio= 13/23= .56 ( Not comfortable).Should be at least greater than 1. 4. Long-term Debt/Working Capital= 6( Not comfortable).Should be at less than 1. Conclusion: The Company’s Balance Sheet is in very poor shape. (i) Shares Issued before the Issue- 34,30,779 Equity Shares. (ii) Present Issue= 12,30,400 Equity Shares. *Ultra Wiring Connectivity System* is coming with an SME IPO on NSE Emerge Platform. The company is engaged in the business of manufacturing of Couplers, Connectors and allied products for automobiles. The Company has Manufacturing Plant situated near Delhi at HSIDC Industrial Area, Faridabad. *Apparent Advisors LLP* is acting as sole advisors for this IPO on NSE Emerge Platform.